Acacia - A velour ring rattle is great for a supplementary gift or a small gift on its own. 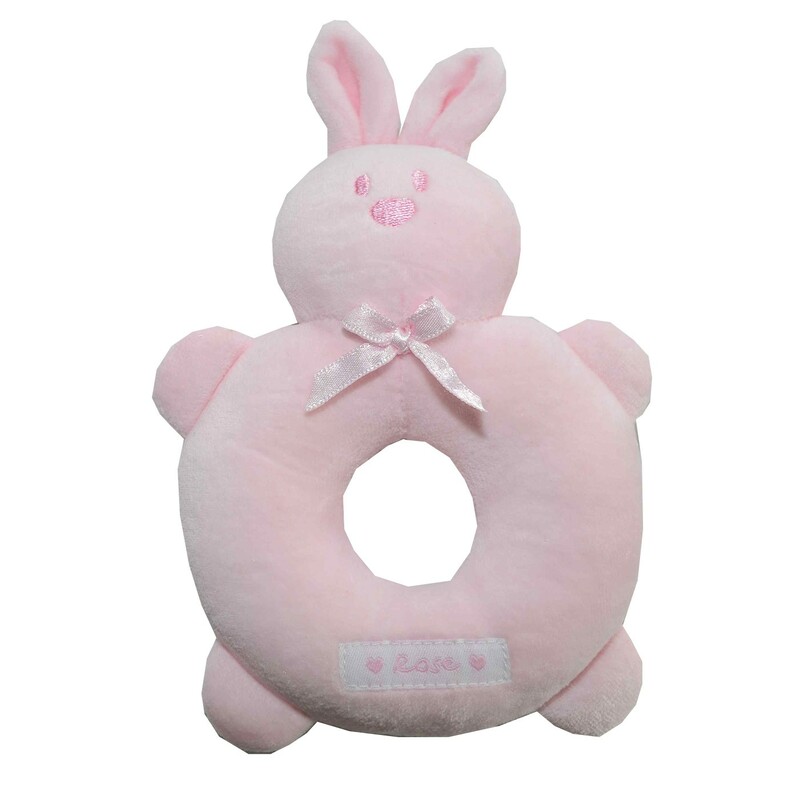 CE approved, the pink velour rattle has a Rose bunny head with ribbon bow at the neck and small arms and legs around the velour ring. The rattle is within the bunny's head and is bound to become a firm favourite for baby and also for Mum as it matches the Emile et Rose outfits perfectly.